Do you feel that your body has become week over the time? Do you feel less healthy than you were a few years ago? If yes then you are not alone. With the ever changing lifestyle and increasing stress, the body tends to take all the toll. Rejuvenation is the process that your body needs in order for it to feel young and healthy again. Rejuvenation treatment at DJI Ayurveda aims at making your body free refreshed and restores your strength and health. Ayurveda is a health science that dates back to 5000 years and it provides us with a lot of techniques that help in the rejuvenation of the body and also the mind. DJI Ayurveda specializes is the Rejuvenation therapies. As per Ayurveda, a healthy individual is not only healthy physically but also mentally. 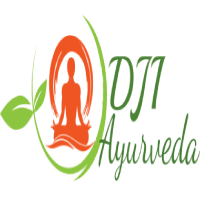 Hence any treatment that is done at DJI Ayurveda is focused on the overall health and wellbeing of the people. With the rejuvenation therapy, the patients often feel stronger and younger. 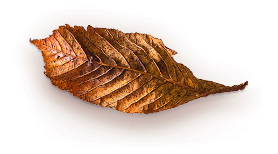 Not only does the overall look of the body including the skin and hair becomes better bit the internal organs also start functioning in a much better way. With the rejuvenation therapy, you will feel the healthiest that you have felt in years. This will also be a new start to a healthy lifestyle that will give you a better quality life in the future. The therapy is designed for people of all ages. If you want to know more about DJI Ayurveda Rejuvenation, you can either call us or write to us. We will provide you with all the required consultation about the programs that can help you in restoring your health. You can also book an appointment with the doctors directly and start with your therapies soon so that you can get the maximum benefits in no time. So, pick up your phones and call now.